What do NASA’s Orion spacecraft and nuclear-powered airplanes have in common? Here’s a hint: It’s something they also both have in common with actor Samuel L. Jackson. The answer, of course, is that they’ve all been to NASA’s Plum Brook Station in Sandusky, Ohio. 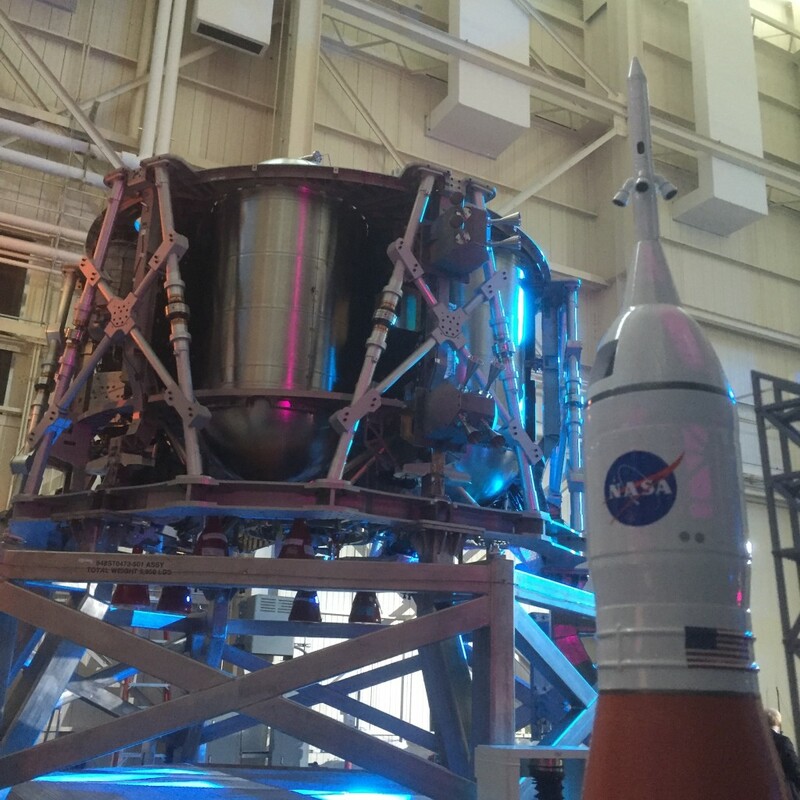 The piece of hardware on the left fits roughly were the NASA logo is on the rocket to the right. Plum Brook, a branch of NASA’s Glenn Research Center, was originally created to allow the agency to conduct nuclear research, first related to airplanes and then to nuclear rockets. Today, it’s a unique facility that allows testing that replicates extreme conditions encountered in spaceflight – from vacuum and thermal environments found in orbit to launch-like acoustic levels that would turn a human body into a puddle. On an average day, the Space Power Facility at Plum Brook is engaged in tasks like using a a vacuum chamber made of aluminum equivalent to about one billion soda cans to test large payload fairings for SpaceX rockets. And on special occasions it’s used for more unique purposes, like serving as a set for Marvel’s The Avengers (in case you’ve ever wondered why there was a NASA banner hanging behind Jackson’s Nick Fury in the opening scene). I had the opportunity to visit Plum Brook last month for the arrival from Europe of a test article of the Orion crew vehicle’s service module. * Orion, of course, is the aforementioned deep-space spacecraft, which will be launched on SLS to enable human missions beyond the moon and eventually to Mars. Orion is designed to meet the robust demands of human space exploration, from providing life support to keep up to six astronauts healthy and safe to withstanding the high temperatures generated by a high-speed entry into Earth’s atmosphere. 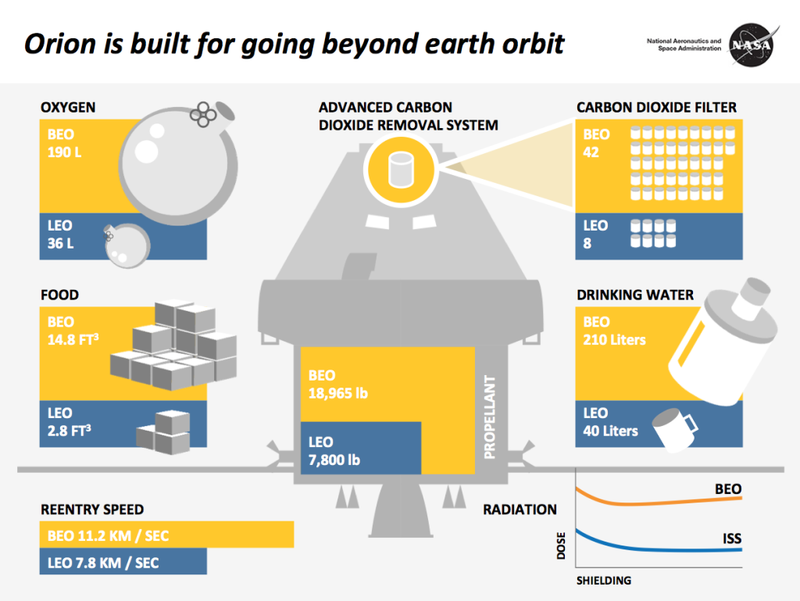 In order to do that, Orion has requirements that dwarf those of a mission to low Earth orbit. Even after it separates from SLS, Orion will need more than twice as much propellant as a spacecraft on an orbital mission. It will have to have four times the ability to scrub carbon dioxide from the atmosphere, and will have to carry five times as much oxygen and drinking water. Just some of the ways Orion is designed uniquely for a unique purpose. Which is where the service module comes in. It’s a combination of a propulsion system and a storage unit for all those helpful things like air and water that keep astronauts alive while traveling hundreds of thousands of miles from home. Orion’s service module is provided by the European Space Agency, in a partnership agreement that has its roots in NASA’s cooperation with ESA on the International Space Station. The service module builds on the success of the European Automated Transfer Vehicle, which has carried cargo to the space station since 2008. Work is well underway on the service module for the first flight of SLS and Orion on Exploration Mission 1, but, in the meantime, the recently arrived test article will be put through a variety of stresses and loads to make sure the design is ready to fly. Being at the event marking the arrival of the test article was a glimpse into the future of international space exploration – an overlapping of different accents and different languages, united in a common message of working together to do things we’ve never before done. The Red Planet is waiting. And people from around our planet are already working together to get there. 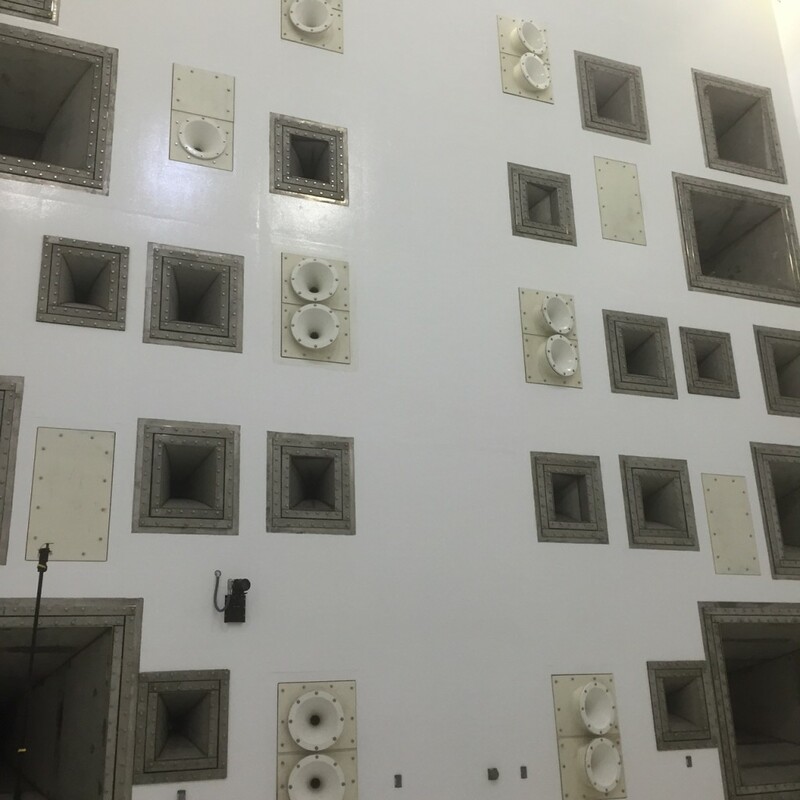 The acoustic test chamber at Plum Brook will subject the test article to 163 decibels of sound. *If you’d like to join Orion and Samuel L. Jackson in having a Plum Brook connection, your chance is coming. Plum Brook Station and Glenn Research Center, in Cleveland, will hold open houses in 2016, on June 11-12 and May 21-22, respectively, in connection with Glenn’s 75th anniversary.